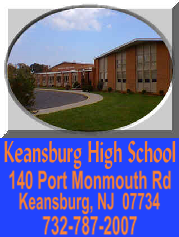 With 7 double digit winners returning, the 2013 Keansburg lineup will feature a pretty even balance of experienced returners and newcomers. The lower half of the lineup has a trio of juniors who all won 10 or more bouts in 2012 in Nic Vloyanetes, Damian Zitzman, and Carlos Fontanez. Another double digit returner is Anthony Aziz, who could have a big year as a senior down in a low weight class. The upper half of the lineup will have a strong senior presence. Among those seniors returning are Anthony Sandi and John Manoes, who each won 22 bouts a year ago. Brad Baker is coming off a solid 2012 in which he recorded 17 wins splitting time at 220 and heavyweight, a role he could once again fill in 2013. There is a healthy amount of experience returning to the lineup this year. If the returners take it up another step and the newcomers can make solid contributions, the Titans will be in the mix for a chance at the B-Central title and a possible run at a Sectional bid.